In 2013, Scott Dominic Carpenter, a professor of French literature and literary theory, best known for his scholarly books on nineteenth-century French literature and culture, made his literary debut with the short story collection This Jealous Earth. Months after the book was featured on Minnesota Public Radio and praised by Publishers Weekly as “engaging throughout,” his debut novel, Theory of Remainders, hit the bookstands to a ballyhoo of critical plaudits. Among the many tributes the novel garnered were starred reviews from the Library Journal and Kirkus Review, the latter describing it as “a stellar achievement.” The book went on to become a Midwest Connections “Pick” by the Midwest Independent Bookseller’s Association and was selected for the esteemed Kirkus Reviews' “Best Books of 2013” list. Earlier this month, Lowestoft Chronicle spoke to Scott Dominic Carpenter about his tour-de-force novel, his impressive debut story collection, and his latest published piece of creative writing. Lowestoft Chronicle (LC): Scott, I thought your novel Theory of Remainders was outstanding—ingenious, insightful and riveting from the first page to the last. It’s become one of my absolute favorite books. It’s not just the story or the fully-rounded characters that make it so compelling, it’s also the elegance of the prose and your profound exploration of language. In much the same way as your protagonist, Dr. Philip Adler, probes his patient’s words for hidden meanings and stalks the town of Yvetot, searching for buried secrets relating to his missing daughter, you seem to have a compulsive interest in linguistics. Is that acute interest in language something that comes naturally, or something you made a deliberate effort to focus on for this novel? THEORY OF REMAINDERS | Scott Dominic Carpenter | Winter Goose Publishing | 2013. Scott Dominic Carpenter (SDC): First of all, thanks for the kind words. Each time a reader connects with the book, I get a little thrill. Regarding the linguistic turn of Theory of Remainders, much of it comes from me. The easy answer is that I teach French literature, do work in Spanish and German, and splash about in a few other languages. These interests certainly spill into the book. But where does this passion come from? I’m fascinated by the role of ambiguity—by the way language both reveals and conceals meaning. Everything we say drips with hints and secrets. This novel gave me a chance to express my understanding of language concretely and dramatically. LC: How did the idea for Theory of Remainders come about? Was it something you began while you were living in Normandy? The idea of WW2 relics (remainders) like unexploded bombs belatedly rising to the surface to cause further damage underpins the story. Did your research into places like Rouen and Yvetot and the German occupation of that region during WW2 influence the plot? SDC: It’s hard for me to pinpoint “the” idea for the novel, as if there were some original kernel. Different threads have different histories. It’s true that I’ve lived in France for quite a number of years, and the environment of Normandy is especially suitable for the story—in part because it’s a privileged site of French-American interaction (because of D-Day, etc.). And yes, I did a lot of documentation in the towns of Yvetot and Rouen, taking scads of photographs to help me convey a sense of place. But part of the story comes from my experience in Minnesota, where I moved in 1990. Just before my arrival, a young boy, Jacob Wetterling, was abducted and never recovered. To this day the family and authorities continue to search for him, and I was struck by what it must be like for the parents to live with that lack of closure. 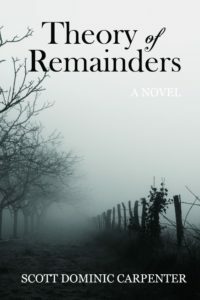 When things are left over like that—when there are such “remainders”—it’s tough to live with. LC: Incidentally, am I right in thinking the novel is set in 2008? Is that when you started writing the book, or did you choose that date for another reason? SDC: That’s right: the “present” of the book is set in 2008, though the traumatic events that motivate Philip Adler took place some fifteen years earlier. The specific dates are not significant, but I did want to keep it contemporary while dividing it between the present and the past. Since 2001 (roughly the midpoint between the two “times” of my novel) we’ve all been living in a world fraught with trauma of many sorts, and although the novel doesn’t invoke any geopolitical events, this sense of loss was present as I imagined the tale. And yes, I did start working on it around 2008. LC: Some authors work off a detailed plot outline, while others say they don’t outline at all. What was your process for writing Theory of Remainders? And was it written from beginning to end, or in parts? SDC: The writing itself was an adventure. This is my first novel, so I had a lot of false starts. I did outline the story, but only in rough terms. (I find that it’s not fruitful to go into too much detail, for I may find my characters don’t want to toe the line of my plot. Above all, you must remain faithful to the psychology of your characters.) The important thing is that I had a clear vision of the ending I wanted, and that gave me a clear sense of direction, a destination. Most of the writing followed the chronology of events, but there were many deep rewrites, during which I eliminated or created characters, or restructured significant elements. For example, the character of Melanie, who comes up in the first scene, was originally quite minor; in the final version she plays an integral role throughout the novel. LC: Initially, I was slightly surprised by Dr. Adler continuing his therapy sessions with Melanie by phone while he was overseas. I wondered if it was normal practice in psychiatry. However, you made a strong case for why it was necessary—for Adler as much as Melanie. In the end, I thought it was an inspired decision to make her one of the main characters. Was it feedback from others that prompted the deep rewrites or did you make that decision yourself? SDC: Well, there’s a surprise there, too. As you know, Philip Adler is falling apart at the seams—almost literally—so he’s engaging in some unconventional practices. When I hit upon the idea of the phone sessions, I considered it to be another sign of this deterioration. But then I learned from a reader (a psychiatrist) that such sessions are sometimes done. In fact, I’ve had a number of psychiatrists and psychologists tell me how authentic my portrayal of talk therapy is. I guess the research paid off. There are some other equally humorous moments in the book, and just as delightfully worded. As someone with a strong propensity for humor (a perfect example of it can be found in the exceedingly funny story “Sincerely Yours” from your story collection This Jealous Earth), what made you want to write a mystery novel, especially one with such a grim subject matter? After all, at the heart of the novel is the story of a father reliving the trauma of fifteen years earlier by investigating the murder of his only daughter. SDC: I’m so glad you asked. It’s true that I have a deep appreciation for humor. At the same time, I’m drawn to tragic and poignant events. I’ve always been struck by how life slaps the modes of tragedy and comedy together: you can be watching an aged parent die in a hospital bed, and at the same time, through the glass door of the room, you see an orderly pick his nose and study the prize at the tip of his finger. The grotesque never steps aside to allow the sublime to pass. Instead, it puts out its foot to trip it up. I remember the evening before my own father’s funeral, when my siblings and I sat around and swapped stories. We quickly devolved into hilarity, even at this sober moment. It’s not disrespectful; humor is sometimes the only way we have to make the horrid bearable. LC: The scenes between Dr. Adler and the disturbed psychiatric patient Édouard Morin are extraordinary and totally unexpected. Did you always have in mind that Morin would be this eccentric, erudite, arcane character, or did he change as the novel progressed? SDC: Morin is probably my favorite character. In some ways he is like Philip Adler, but in an exaggerated and monstrous way. Yet he is also a tortured soul, which makes him interesting at the same time he’s repulsive. I latched onto the character of Édouard Morin very early on in the process—even before I had a good idea of who Philip Adler would be. He represents all that is impenetrable and obscure in language—all that language cannot say. THIS JEALOUS EARTH | Scott Dominic Carpenter | MG Press | 2013. 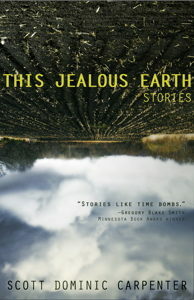 LC: Your short story collection This Jealous Earth comprises sixteen tales, many of which were published in magazines between 2007 and 2012. Some are short pieces of less than 500 words, while others exceed 5,000 words. As for a unifying theme, “the stories are bound together by the question of choice: in each story characters arrive at a fork in the road, and they need to choose a path that will alter their future in important ways.” Was it an obvious choice which ones to include? Am I right in thinking that stories like “The Painting Boy” (where the boy has already made his choice), “The Parasite,” and “Thursday,” were discarded because they didn’t fit with the others? And did you ever consider fleshing out any of the shorter pieces or reworking stories that didn’t make the cut? SDC: Actually, it was a huge challenge to figure out which stories to include. I hated to cut any. But some were discarded because of thematic difference (as you suggest, because the story didn’t hinge on a choice), and some because of tone or genre. 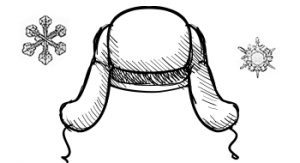 (For instance, “The Parasite” is a kind of short fable.) But then, in the second edition of the book we included a short piece at the end called “The Bait”—which is a kind of small gift to the reader, free of choice, rather charming, and not entirely consistent with the themes. And yet it felt right. So, part of the decision just comes from the gut. Regarding the second question, I don’t think I’ve ever reworked a story from one length to another, making a flash fiction piece into a short story, or a short story into a novel—or the reverse. It seems to me that stories find their length on their own, at least for me. It’s one of the few things I don’t have to worry about. LC: You’ve had a number of academic books published over the years through major publishers like McGraw-Hill, Prentice Hall, and Ashgate Publishing, with topics ranging from literary theory to nineteenth-century French literature and culture. Have you moved away from academic writing to concentrate on fiction? SDC: Yes, largely. That said, my creative writing seems to swirl around the same obsessions I pursued as an academic reader. The activities are complementary, although I’ve never learned more about literature than when I began to write it. LC: Back in February 2013 you made mention of some projects you were working on: “more stories, some travel writing, and another novel.” Do you intend to put out another story collection? Is the novel near completion and are you able to talk about it? Will it have the same well-honed edge of suspense that Theory of Remainders had? SDC: Yes, yes, and yes. I have quite a number of irons in the fire. This fall I have a spate of short pieces coming out, including both stories and creative non-fiction (readers can follow my publications at www.sdcarpenter.com). The big project is, of course, the new novel. It’s not “near completion” yet (I expect several more months at least of hard labor), but I’m very excited. It’s set largely in the Midwest and deals with a young man wrestling with a traumatic event. And yes, it does employ suspense—which I find entirely compatible with compelling and literary fiction. LC: Tell us about your latest non-fiction piece, which is published in the current issue (#20) of Lowestoft Chronicle. SDC: “Danish as She is Spoke” erupted from my five-month teaching stint in Denmark, where I humiliated myself deeply on a daily basis. While it’s a more humorous piece (I don’t know why, but my travel pieces tend to humor), you’ll find the same infatuation with language that informs Theory of Remainders. Whenever we think we have “mastered” language, lo and behold, it has mastered us. Scott Dominic Carpenter teaches French literature and critical theory at Carleton College in Northfield, MN. A Pushcart Prize nominee and a recipient of a Minnesota State Arts Board grant, his fiction has appeared in a broad array of literary journals. 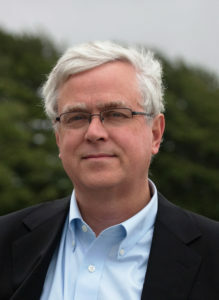 His books include the short story collection This Jealous Earth (MG Press) and the novel Theory of Remainders (Winter Goose Publishing), which was named to Kirkus Reviews’ “Best Books of 2013.” His website is located at www.sdcarpenter.com.